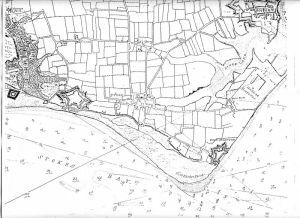 It had long been recognised that Stokes Bay had a fine shelving beach, ideal as a landing point for an invasion intent on attacking and capturing Portsmouth and its all important harbour and dockyard. 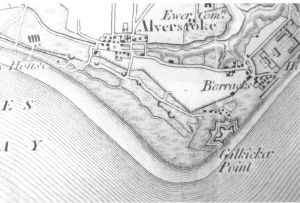 In 1708 Talbot Edwards proposed a series of seven gun platforms at Stokes Bay to defend it against an invasion but nothing was done until 1782/3 when six redoubts were constructed on the high ground above the old course of the River Alver. Although labelled as redoubts they appear to have been little more than gun platforms firing out to sea. They were labelled from west to east. 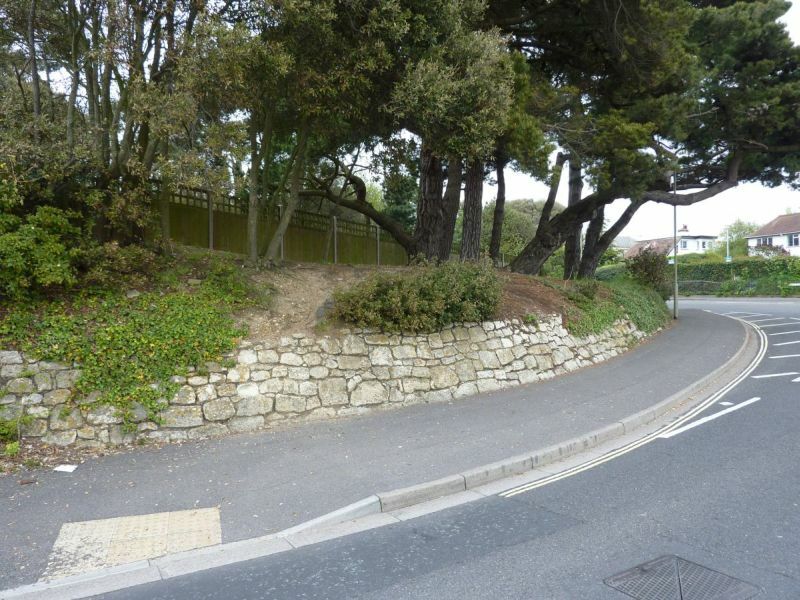 The first was south of the middle of the present Palmerston Way, the second at the end of Alvercliffe Drive, the third where Anglesey Road meets Stokes Bay road just inside the grounds of Anglesey Lodge. 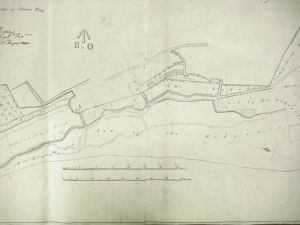 The fourth was in Fort Road on the site of what later became No.4 Battery of the Stokes Bay lines, the fifth where the Crescent joined Fort Road on the site of the later Stokes bay Lines No.5 Battery and the sixth further to the south east of this. No indication of the redoubts exist today apart from a trace of the site of no. 3 which can be identified above the roundabout. 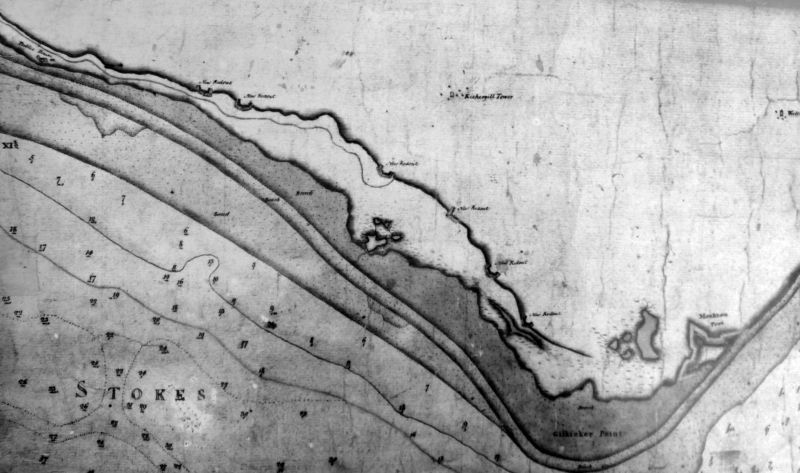 A map of 1783 showing the six Stokes Bay redoubts and the proposed Fort Gomer at Stokes Bay . To the right is Fort Monckton. 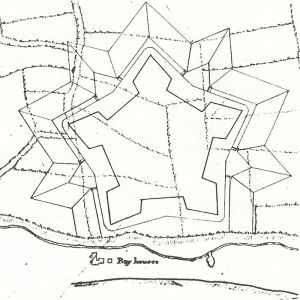 To the left is another redoubt, which was not constructed, although the land for this was purchased in 1782. 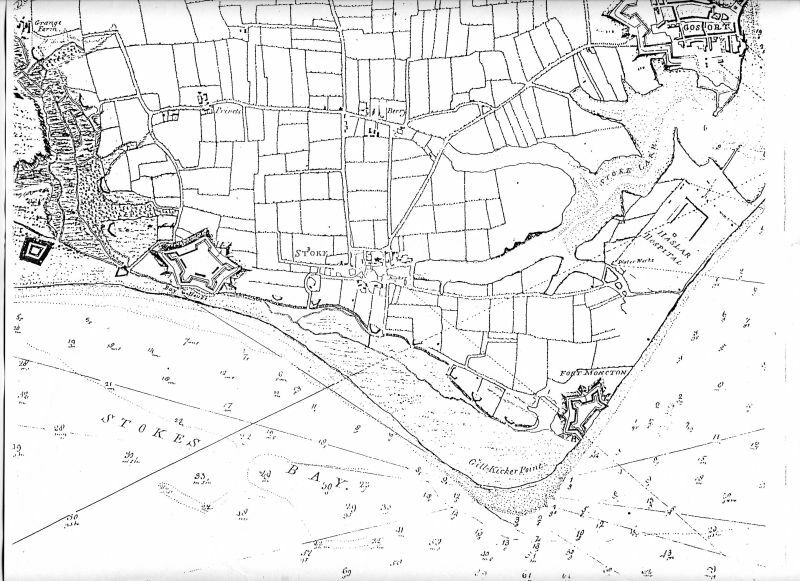 Two proposed Stokes Bay forts facing seawards are shown. 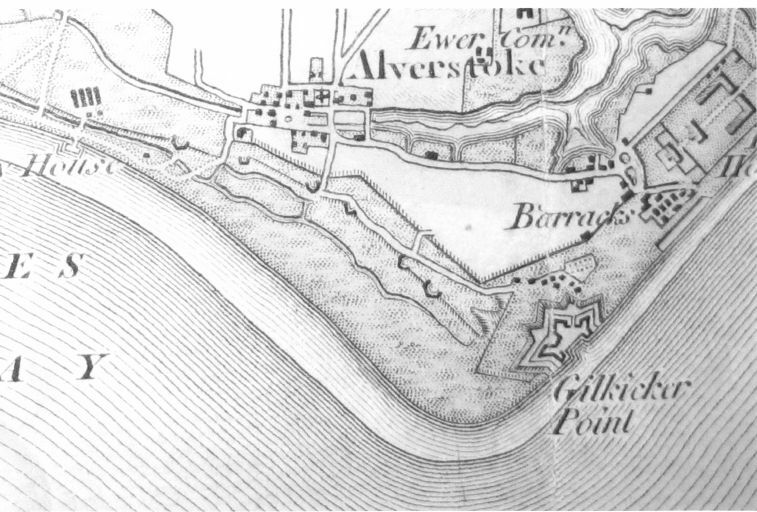 So are a series of five redoubts on the east bank of the River Alver from Grange Farm to Bay House protecting the western approaches to Gosport. 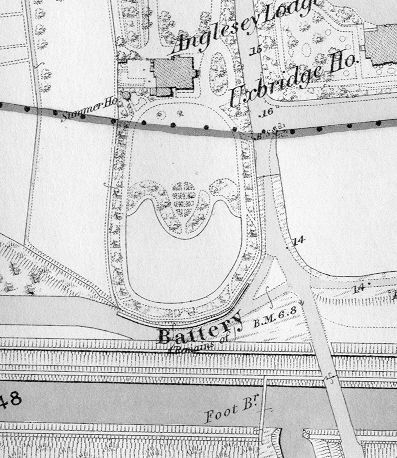 There is also a structure shown on Browndown Point. 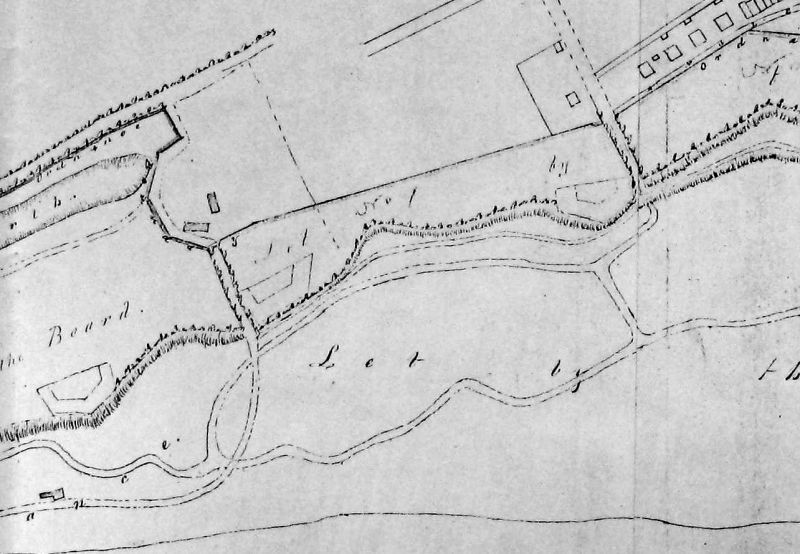 Shown on the same plan was yet another fort proposed for a site near Rowner Church. 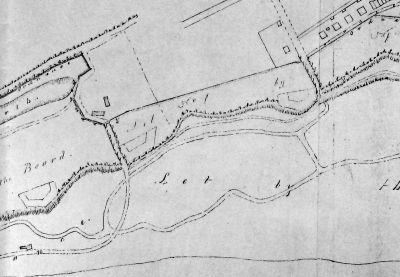 A plan for a pentagonal bastioned fort was drawn up and the ground was marked out for it in the area of Bay House in 1783. The costs were presented to Parliament in December 1783. 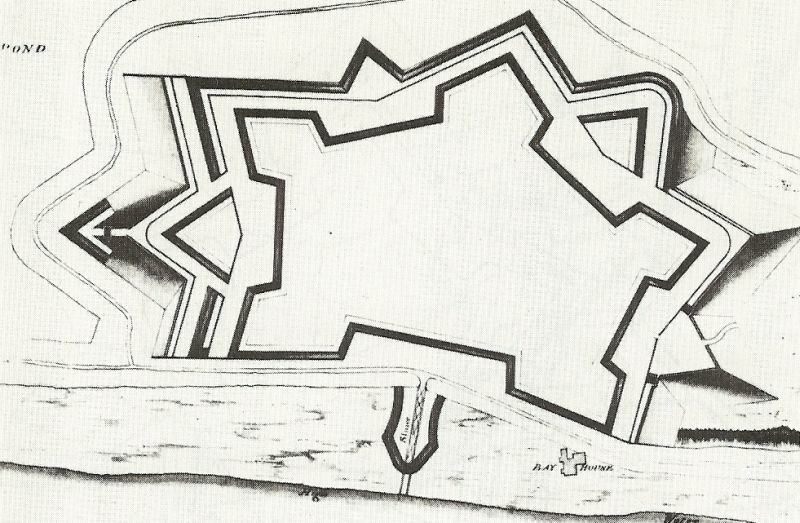 The dimensions for this fort were increased and another plan was presented in 1784/5. 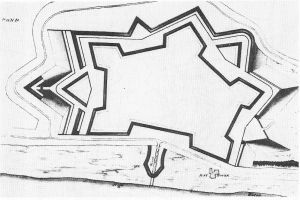 This fort was to be known as Fort Gomer (not to be confused with the later Fort Gomer constructed to the north in 1856). 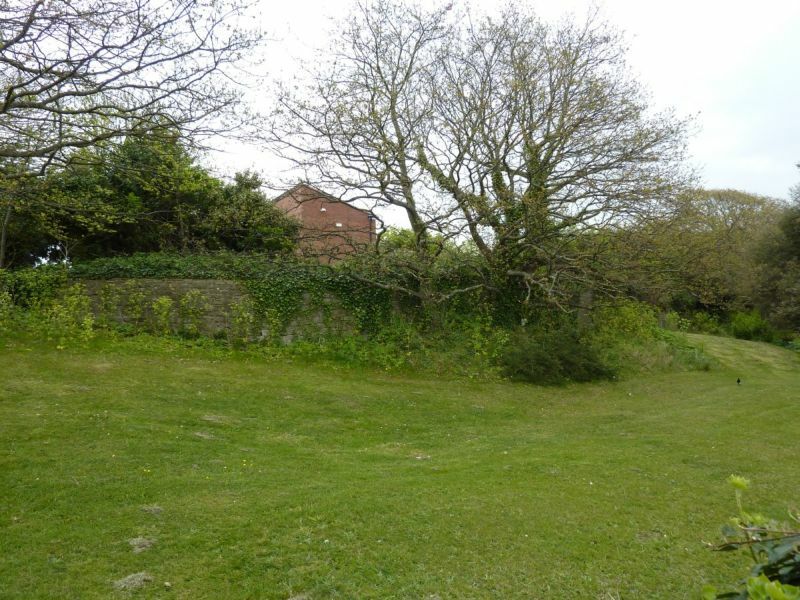 An extensive strip of land was bought in 1783/4 stretching from Browndown to Haslar. 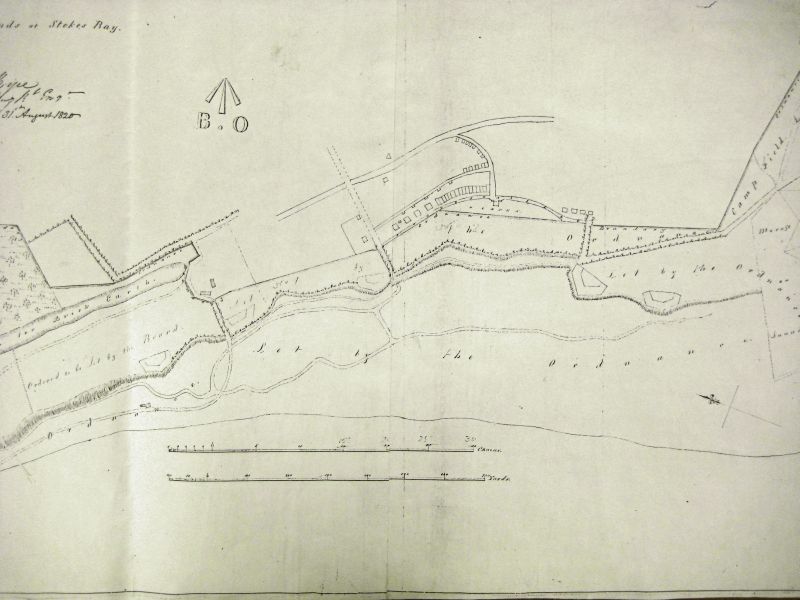 Soon after this the idea was abandoned and only the redoubts appear to have been constructed, with Fort Monckton to the east of the Bay. 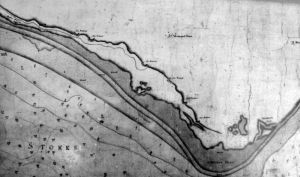 The six Stokes Bay redoubts are shown on an Admiralty plan 1810. 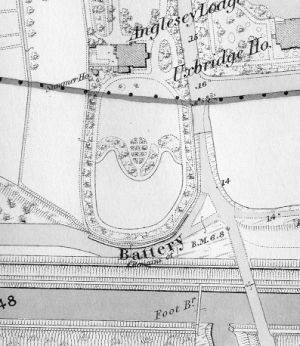 This indicates the site of Redoubt No.3 in the grounds of Anglesey Lodge as "Battery, remains of". Nothing of this battery remains today. 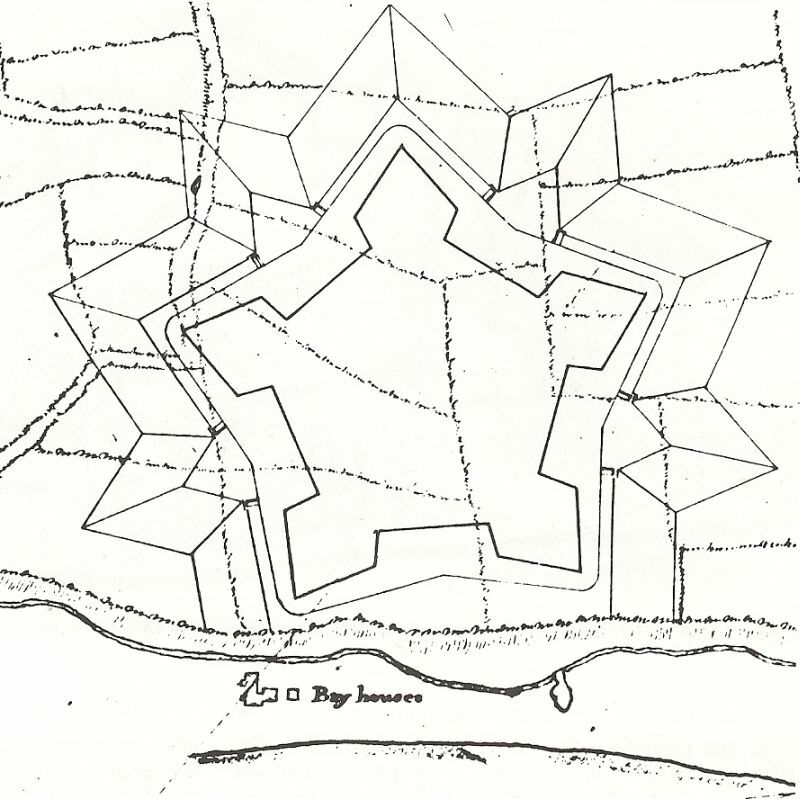 Fort Gilkicker: A plan of the fort showing the concrete searchlight bases. Fort Gilkicker: Searchlight Mark III - Projector, 90cm with glazed door and reflector frame. Service projector in use from 1902 for Defence Electric Lights.